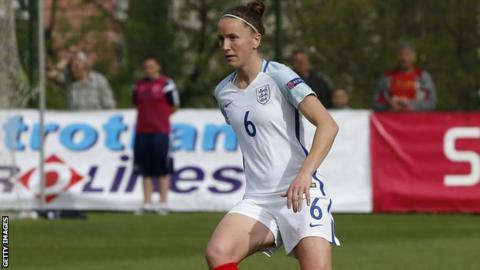 Former England captain Casey Stoney is set to become manager of the new Manchester United women's team. Stoney, 36, won 130 caps and skippered the Great Britain team at the 2012 London Olympics. She became assistant manager to England boss Phil Neville after retiring from playing earlier this year. United have applied to have a professional side and hope to play in the second tier of women's football during the 2018-19 season. They are widely expected to receive approval when a restructure of the Women's Super League is announced next Sunday. The club had been heavily criticised for not having an adult women's side, with Neville saying in January he would discuss the matter with his former club. Should their application be successful, United would be based at the Cliff training ground in Salford.